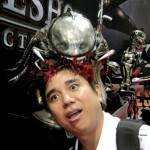 Just letting you guys know I will be attending PAX 2010 in Seattle, WA from 9/3 to 9/5. For more info, click through to the Udon announcement. Created by Bryan Lee O'Malley and directed by Edgar Wright, Scott Pilgrim is a stylish, fast and funny love letter to our generation. Scott Pilgrim VS The World is tanking at the box office despite rave reviews and a lot of hype from the internet community. This makes me sad. I watched a midnight show of the movie on Thursday night and I have never LOL’d so much so frequently in a movie theatre. 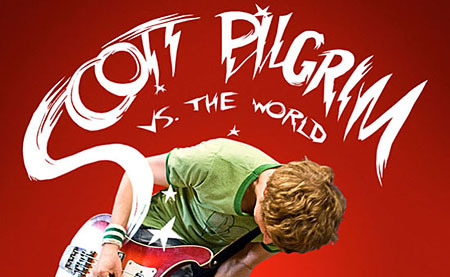 Scott Pilgrim is the brainchild of Bryan Lee O’Malley and wonderfully directed/translated to the big screen by Shaun of the Dead’s Edgar Wright. 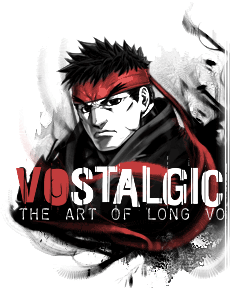 Its visual style, pacing and sensibilities are very much like that of a videogame and manga rolled up into one. Every moment, every action, every transition is kind of ADD– but it works. If you grew up playing Nintendo, PC games, etc, you’ll find a lot to like about the sensibilities of this flick. As an artist/creator/storyteller back when the internet was pretty much in its infancy– this was a time when all of the artists/creators shared a special bond. Pixel Art, Anime(as a rarity, i.e. the Golden Era), pre-realistic/crude CGI, mouse driven cg coloring were all the norm back then. As artists, we were all fans struggling to create things that we loved in a time when media and entertainment required more of an imagination than the types of things we get to experience today. We all got our hands dirty and did the best with what we had as we pushed forward into unknown territory. 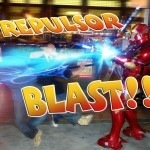 The ensuing years would be a renaissance of the entertainment medium in general. The combination of the internet, computer imagery and social media gave new grounds for every artist to be able to present their creative vision to countless people around the world if that person pushed themselves. Over the years, while some have floundered, others have taken things to new levels, broke new ground and have found some mild successes. Bryan O’ Malley is one of us. 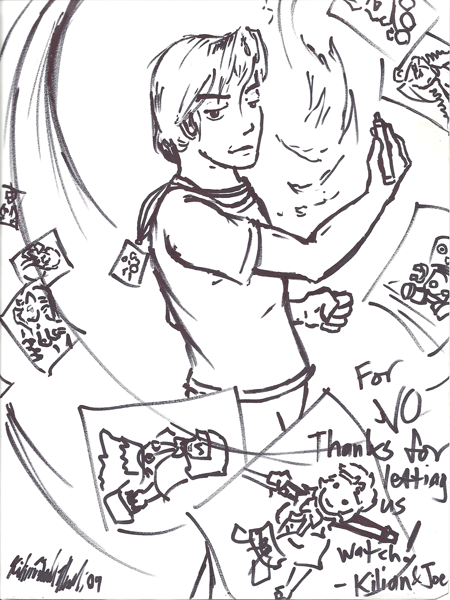 To me, his efforts with Scott Pilgrim represent to the online creator what is possible if you stick with something you love and believe in. The fact that his work was able to grab the attention of such a great director like Wright, while also getting the backing and funding from a major Hollywood studio is something that all creators strive for — To have their work shown to a mainstream audience around the world and to receive some sort of recognition that comes from all of that hard work and dedication. It’s a shame that this movie isn’t doing better. Whether it be marketing or the fact that the movie may be to niche-y. 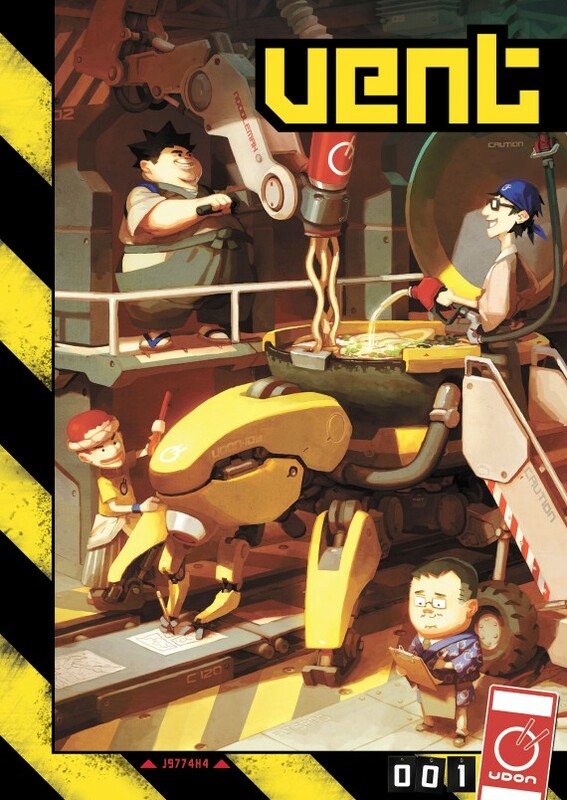 Whatever the case, if you have any affinity for retro videogames, comics and over the top manga-esque storytelling, I highly urge you to give it a chance. You’ll have a fun time and also keep some dreams for aspiring creators alive as well. 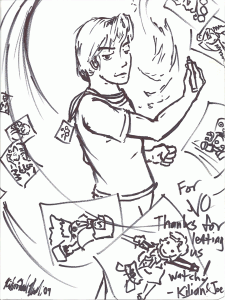 Click on the image above to go to the official Scott Pilgrim Movie website. 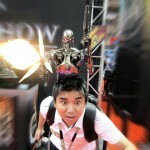 Got a little too excited with this replica of the GOW Lancer. That’s what we get for making fun of Metal Heads. [4pm - 6pm] Capcom Signing Booth #4844 – Signing/Sketching, Selling Limited Prints and Signing with Vampy. 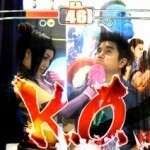 [8pm - Midnight] Hard Rock Lounge – Marvel VS Capcom 3 Party. I will be doing free sketches inside of the event. VIP access only. [5pm - 7pm] Capcom Signing Booth #4844 – Signing/Sketching, Selling Limited Prints and Signing with Vampy. [1pm - 3pm] Capcom Signing Booth #4844 – Signing/Sketching, Selling Limited Prints and Signing with Vampy. *** Udon Booth times are tentative and may change, but you’ll most likely find me there. Excited for Inception? Read the prequel comic. 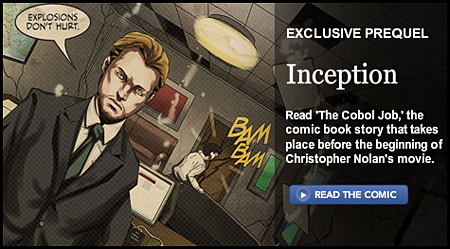 Click image to view the Inception Prequel comic on the Inception Movie website. Christopher Nolan’s Dream Heist Movie is about to hit theatres on July 16th and I had the good fortune to work on a prequel comic to the movie. This comic leads directly into the movie written by Inception and Dark Knight producer Jordan Goldberg with artwork by me, Joe Ng(Street Fighter 4 comic/Transformers comic) and Crystal Reid of UDON. Be sure to check it out! Here’s a preview of my work in the upcoming Udon Artbook, VENT. For more details, click the image above. I’ll be attending Comic-Con 2010 at the end of July where you can find art from me in two of Udon’s exclusive hardcover artbooks. Udon’s art of Capcom 2 contains comic covers, illustrations, designs, pin-ups and in-game artwork created for Capcom’s Street Fighter, Darkstalkers, Mega Man and the Versus series. Quantities are limited to 500 at the show, so be sure to pick up yours before they run out. 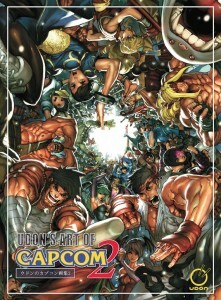 Be sure to pick up these awesome artbooks at the Udon booth and get them signed by me while you’re at it. See you then! Was digging through some old convention materials and found this drawing that was given to me at PAX last year. 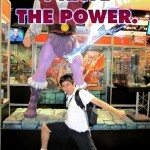 See you guys at PAX again this year if you are there! I can’t think of too many games where sword fighting has a real effect to it. Most of the time, an enemy will take 5-10 slashes from a sword until his imaginary health bar disappears and then falls over dead as if he got punched in the face or just ethereally vanishes from the game world. That was kind of the appeal for Squaresoft’s sword fighter Bushido Blade released back in 1997 for the original Playstation. Basically, anytime a limb got hit with a sword, you would lose functionality of that limb. Head hits were instant kills. Though even then, you wouldn’t get the actual effect of that. You couldn’t dismember your opponent if you wanted to. There have been other games that allowed some kind of dismemberment, but they were all based on predetermined limb points– like Ravensoft’s Jedi Outcast 2(with the dismemberment code turned on) where you could send out your light saber and reduce a group of Storm Troopers into a pile of limbs and then force push them to scatter the limbs all over the place. Fun times for sure. The Berserk games(based on the manga) for the Dreamcast had some limited dismemberment effects that corresponded to the arc swipe of the blade, but they were more or less canned to some degree. Other noteables were the Xbox Ninja Gaiden series and well as the infamous katana weapon in Dead Rising where you cleave zombies in half. If based on this video preview for MG Rising though, it looks like this could be the funnest, most accurate take on dismembering with sword weapons. I must say that seeing Raiden cutting a million people in mid air into just as many pieces made me feel a little giddy inside. Now here is a Mortal Kombat live action film that actually gets the tone right. While I still have fond memories of the first Mortal Kombat movie in the theatres(it’s really all about the flaming logo intro with the theme song!) the one thing that movie never did right was that in Mortal Kombat(a fight to the death), there were way too many survivors. In the beginning of this film, Johnny Cage gets beheaded. 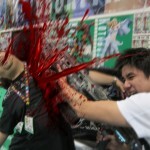 I think that’s truly a testament to what Mortal Kombat is- once you choose your character to play… EVERYONE ELSE DIES. It’s about time a film maker realized this.